Batik was a highly accomplished art in Java. Many years ago, they made batik design for art, education, and mystic. 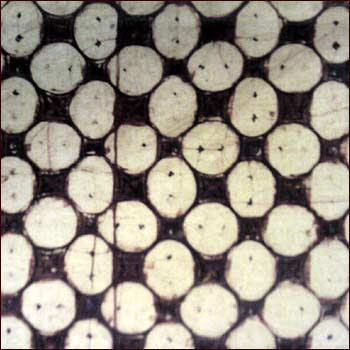 Kawung is a simple batik pattern from java. White circle on the dark brown background.